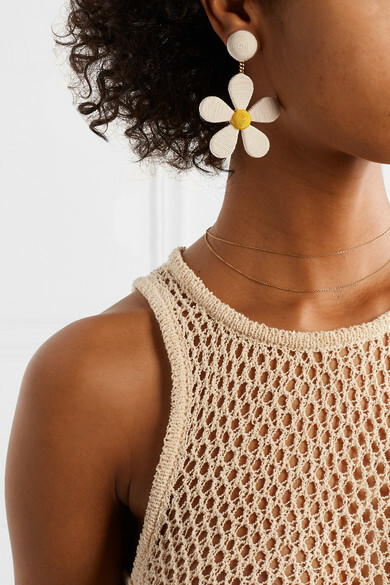 Rebecca de Ravenel styled these 'Daisy' earrings with a summery pastel dress on a recent trip to the Maldives - a perfect match for the island's lush greenery and tropical feel. 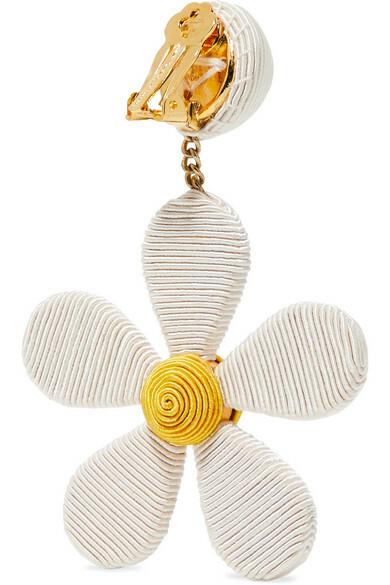 Handmade from white and yellow cord that's woven into the shape of a flower, they have gold-plated clip fastenings and are surprisingly lightweight. You'll want them in every color, so pick up the black version, too. 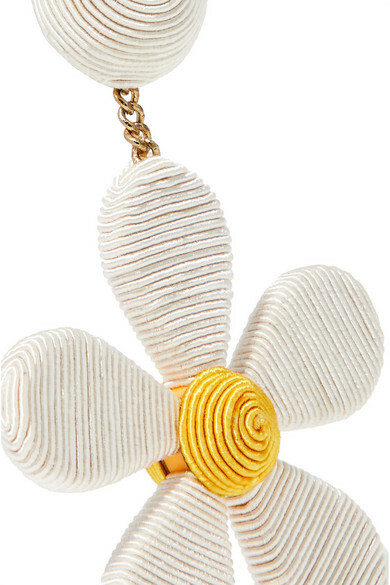 Shown here with: Nanushka Dress, Kenneth Jay Lane Bangle, Alighieri Necklace.